It’s hard to believe that Wildflower is already here. 12 weeks of training – 6 of which were punctuated by travel, flew by and our first big race of the season is only days away. For Taylor, Wildlfower Olympic will pose a set of challenges she’s never experienced before: heat, hills, and more hills should make for an interesting day. Although I’ve raced Wildflower Long Course once before, I did it under optimal conditions – 16 weeks of textbook training minus a two week work trip to Chile. Two years later, I’m a stronger athlete, but have different expectations for Wildflower this time around; here are some of my top race goals for Saturday. 1. Don’t get hung up on time. I’m writing this mostly to remind myself. Wildflower 2012 was one of my best races to date and I gutted out a 5:58 finish – no small feat at Wildflower. Since then, I’ve shaved 14 minutes off of my half Ironman time – albeit on an easier course. Going sub 5:44 at Wildflower would be a huge result and one that’s within reach, but not a priority for my B race. 2. Focus on the long term goals. My A races this year are Vineman 70.3 and Ironman Lake Tahoe. If I want to execute at those, I’ll need to practice and solidify my strategy at Wildflower first. I’m animate about not wasting 12 weeks of base Ironman fitness in 6 hours – this is a long training day, not a race. 3. Save it for the end. I’m in great bike shape right now, but that doesn’t mean that I should hammer for 56 miles. I want to run the last leg – that means having enough in the tank to let it rip and beat my 2:02 half marathon in 2012. There’s a big difference between pushing hard for 10K of the run versus 6 hours of the race. 4. Caffeine taper – I love my morning coffee. A lot. The second one tastes really good too. This week is dedicated to acute caffeine withdrawal for the sole purpose of saving its magic for race day. I did this in 2012 for both Wildflower and Ironman Lake Placid and it worked like a charm: the caffeine in my race nutrition had me bouncing off the walls in a good way. 5. Make the most of the elements – the forecast calls for a high of 86 with 15 degree winds. This has the potential to impact my bike and roast me on the run – all I can do is put my head down and soldier on. 6. Marginal improvements – not leaps. Goals 1-5 culminate in this one. My major goals this season are to break 5:30 in the 70.3 and make a serious dent in my Ironman time. If I can improve upon my 5:58 in 2012 without overexerting myself, then I would consider that a good benchmark for my fitness this year versus the last time I ran a full Ironman. 7. Have fun out there – Wildflower is an incredible challenge with an unparalleled atmosphere. I’m really excited to race again and show Taylor a good time too. Awesome goals and most interesting with the caffeine taper. Not sure I am dedicated enough to try that. Good luck and have a great time. You will be awesome! I’ve been thinking about you and wondering if your sleep has improved. I have been doing acupuncture for other reasons but one of the benefits is amazing sleep. Just wanted to let you know in case you were still dealing with it. That’s so nice of you! I’ve tried acupuncture for neck pain but not for sleep – do you find yourself sleeping better after you’ve had a session? I’m still not sleeping very well but hope to get some answers soon with blood work. My sleep is better than ever. I literally drift off which is what made me think of you. Plus the sessions are awfully relaxing too. Hoping it might help! These are great goals and things to keep in mind for running any race! I have a race this weekend and definitely need to remind myself not to get hung up on time and save my last bit of energy for the end! Thank you! Which race are you doing? Good luck to both of you, have a great race / training day. Especially to Taylor hope the bike ride is not too tough. I like all your tips, especially 4, I have a race in 2 days, Maybe I’ll try it. Is it OK if I link to this post? Good luck!!! Man, I don’t think I could do a caffeine taper, that would be so hard! btw, I was never brave enough to sign up for Wildflower. 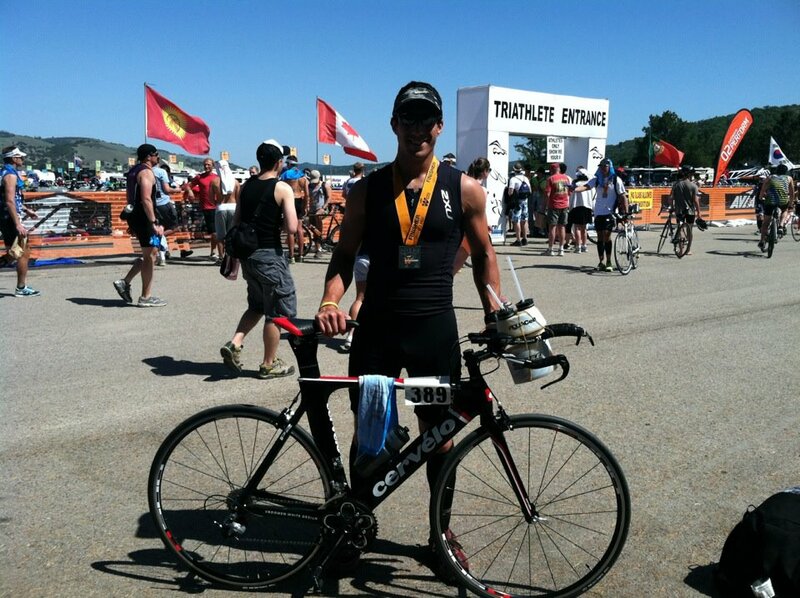 I did a 70.3 very similar to Vineman. I’m definitely scared of WF!